We also know that you have a choice when it comes to summer workshops and tours. Many in our community are lucky enough to look forward this summer to attending the festival in Koprivshtica, Bulgaria, an event that only comes ‘round every five years. Make no mistake—we’re happy when we hear that our friends and fellow community members get an opportunity to visit the Balkans. But if you still haven’t made your summer plans, or if your sights aren’t set upon trans-Atlantic travel for whatever reason, consider joining us in the Mendocino Woodlands or the Catskill Mountains this year. 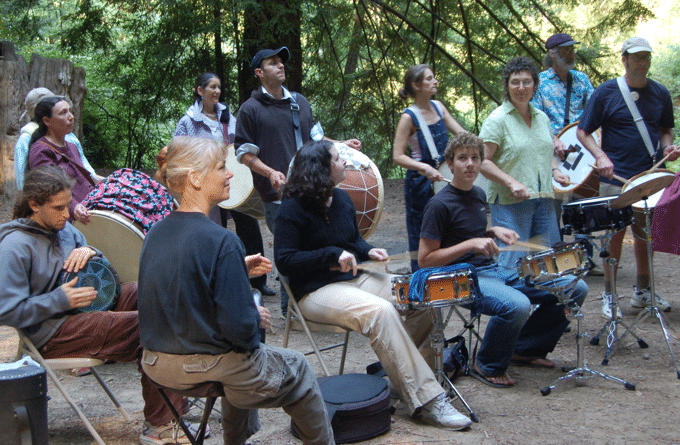 The Balkan Music & Dance Workshops are life-changing gatherings. Register now for Mendocino or Iroquois Springs. And NOTE: To encourage you to sign up, we are waiving the after-deadline tuition surcharge! But hey, even if you aren’t joining us this summer, take Craig Kurumada’s 10-Camper Pledge and help spread the word. You, my friends, are EEFC’s best ambassadors.